A poster design for a screening of the famous 1973 David Bowie concert film, held as an It Came From Schenectady (ICFS) event. The textured graphic style of the poster and retro font layered over Bowie's image make the piece look nostalgic and well-worn, like a cherished concert poster from that era. 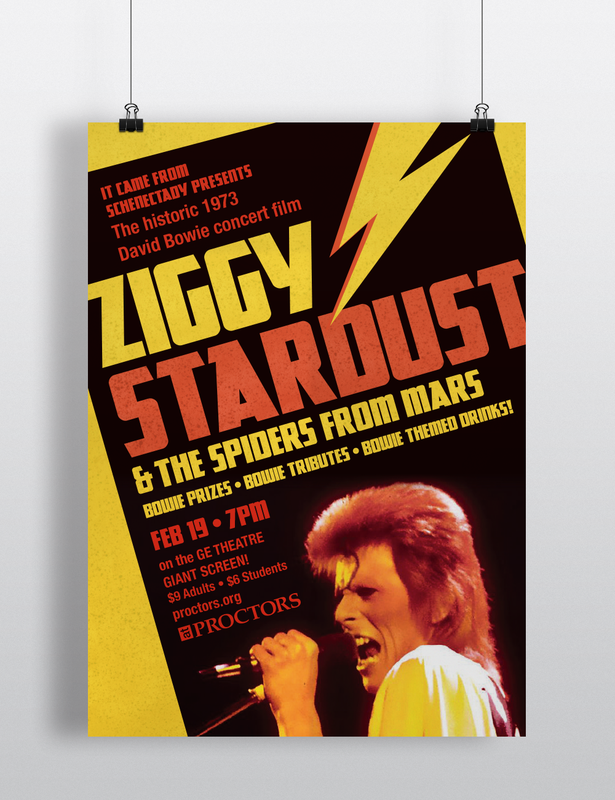 Poster, Ziggy Stardust & the Spiders from Mars.